On Tuesday in the northeast corner of Briones it had rained (yes! during this drought!) and the tall grass was still damp in the morning along Alhambra Valley. 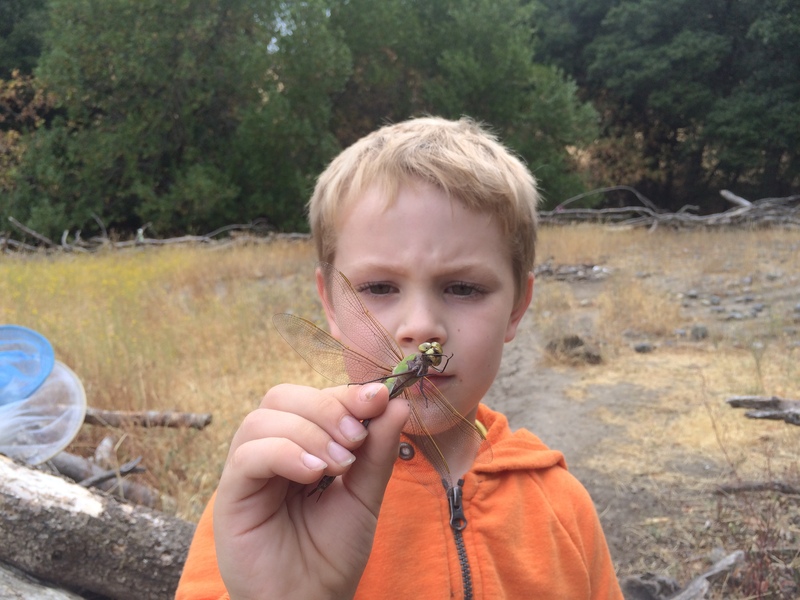 Dragonflies rested in the grass, and leapt into sudden buzzing flight as we waded through the tall stems. One got caught up in the grass and I was able to snare it in the net, a rare capture of such an agile, aerodynamic creature. 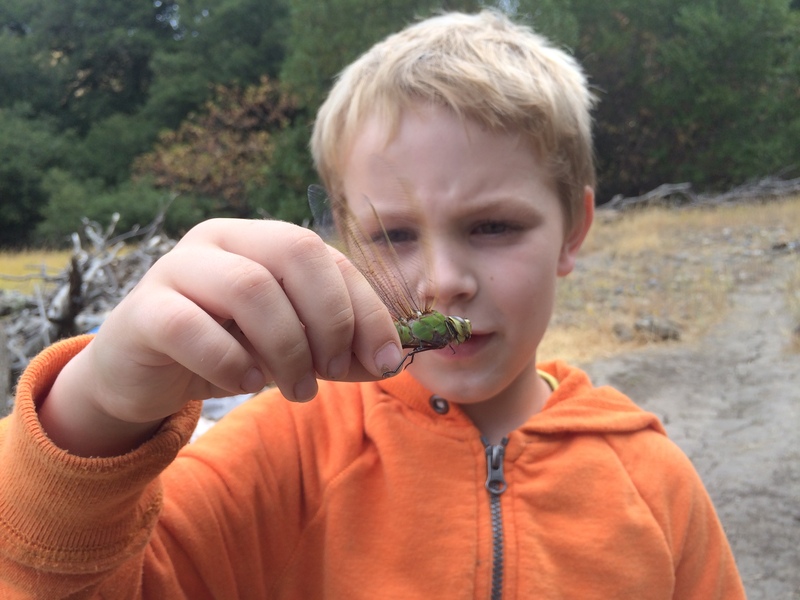 It was Anax junius, the Green Darner, a very large dragonfly common in all 50 states, including Alaska and Hawaii. 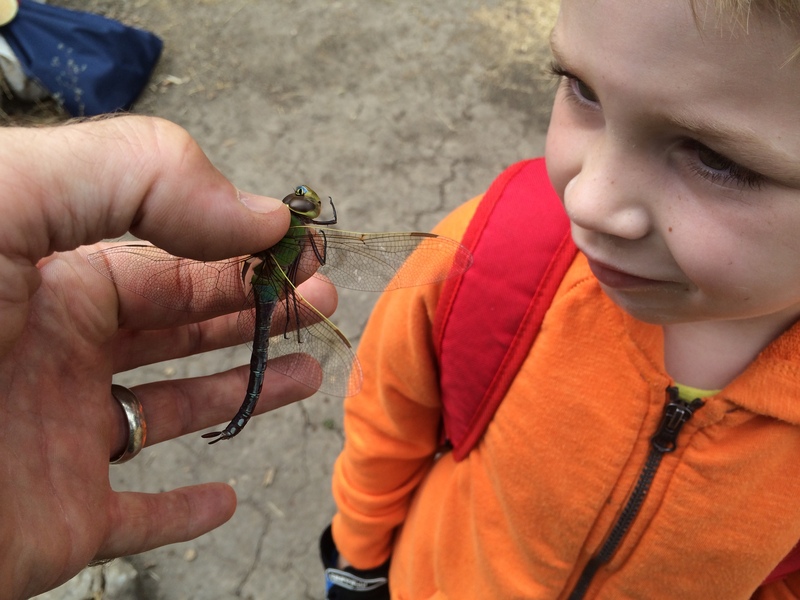 Its name “darner” comes from the old folk name for dragonflies — folks called them “devil’s darning needles” and they were supposed to be able to sew up the ears of naughty children. If that were true, well … Kieran would’ve had to be careful! 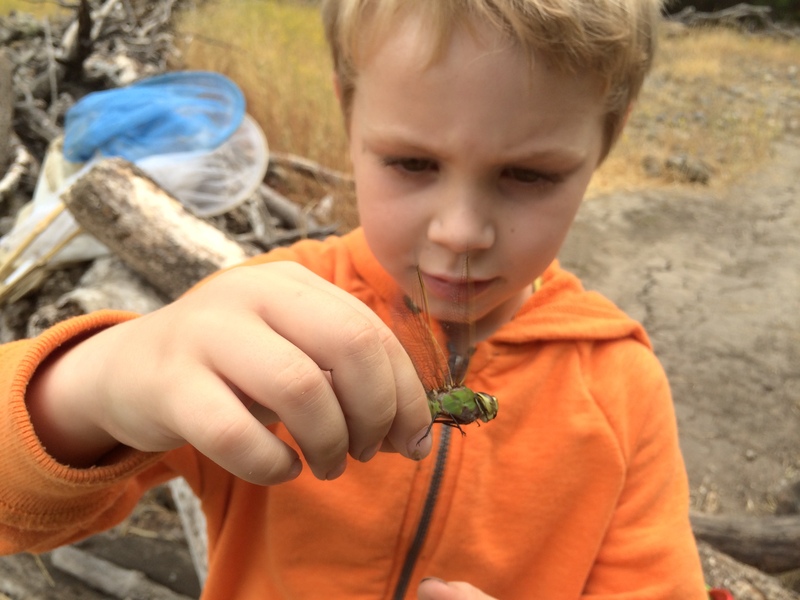 We were careful how we held it — two fingers gently on the thorax, where those mighty wing muscles are. That way we didn’t touch its wings. 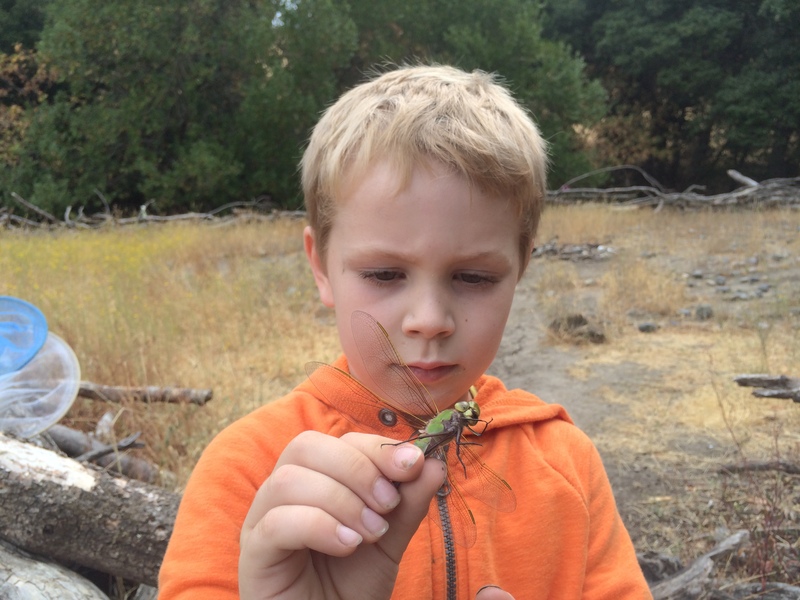 Kieran held it carefully, and the insect buzzed its wings in his hand. When he let it free, it flew swiftly away. Dragonflies haven’t changed much in hundreds of millions of years. Why mess with success? Anax junius is a fierce, voracious predator that catches smaller insects in flight. Dragonflies, the Top Gun pilots of the insect world, are not easy to catch, so we were lucky to get a good look at this one.